A comprehensive estate plan should address all of your assets. For most people, an estate plan must include three common categories: (1) your home; (2) financial accounts, like your checking and savings account; and (3) personal property. Other types of assets – such as life insurance, retirement funds, and annuities – should also be considered as part of your estate plan. It is no surprise that one of the risks of being a landlord of commercial or residential property is the threat of lawsuits. An injured guest or tenant, a claim under the landlord-tenant act, or a lease dispute can all end up in the courtroom. However, a well thought out rental property plan and estate plan can hedge against this risk. Protecting Your Assets: A prudent landlord purchases adequate insurance coverage as the first line of defense. Sometimes, however, the insurance policy’s limit is not sufficient to cover damage awarded by a court. When this happens, the next place the prevailing party looks to for satisfaction of judgment is the property owner’s personal assets, which leads us to the next layer of protection. Using a Business Entity as Protection: Owning property through a business entity, like a limited liability company (LLC), can protect personal assets against seizure. That being said, merely filing paperwork to create an LLC isn’t enough. The LLC must be treated as a true business entity and all reports, filings, bank accounts, and other formalities must be met at all times in order to benefit from the liability protection of the business entity. Additionally, when meshing your rental property ownership with your estate plan, you must consider who can manage your assets if you’re unable to do so, our next consideration. Who Is Managing Your Assets: Another factor to consider is the trustee who manages the living trust. A trustee bears the responsibility of managing the property owned by a trust for the benefit of the trust beneficiaries. The exact duties of a trustee may vary depending on what assets are owned by the trust and the trust’s terms. While income from the rental property made you financially successful, many institutional trustees – or someone outside of your circle of family and friends – will often liquidate assets and invest the funds. This result may or may not be what you want done with your assets. 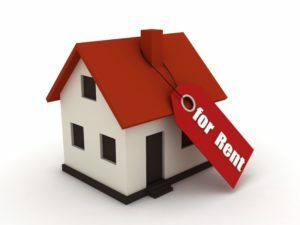 For this reason, using an LLC to organize your rental property holdings and have the trustee simply collect the net income from the overall operation can be a way to ensure your wealth remains invested in the rental property that made you successful. Tax Advantages Through 1031: While many think of estate planning and LLCs as strategies to save on death taxes and provide for heirs, we can help with much more. A 1031 exchange is a vehicle to defer taxes from the sale of rental property. The rules to qualify are complex, but can save enormous amounts of income tax, depending on your situation. We can help by making sure that your trust, powers of attorney, and LLC allow your family to take advantage of this tax-saving law if you are incapacitated and unable to manage your own affairs. You’ve likely worked hard over the years to build and acquire your rental property, along with your other assets. Make sure that your estate plan takes every one of your assets into account so that you and your family receive the most benefits and protection.